The earth's surface is broken into seven large and many small moving plates. 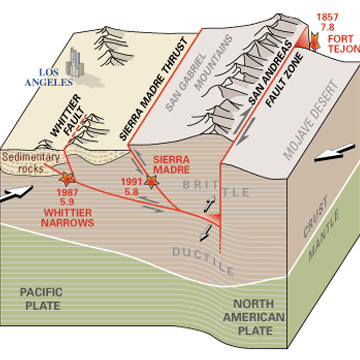 These plates, each about 50 miles thick, move relative to one another an average of a few inches a year. 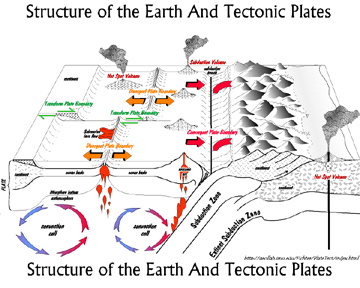 Three types of movement are recognized at the boundaries between plates: convergent, divergent and transform-fault. 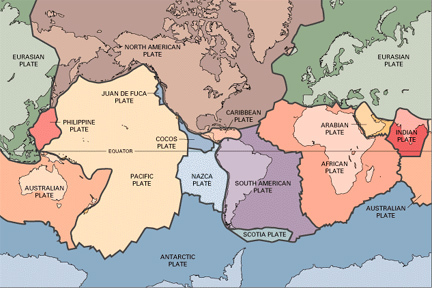 The plates consist of an outer layer of the Earth, the lithosphere, which is cool enough to behave as a more or less rigid shell. 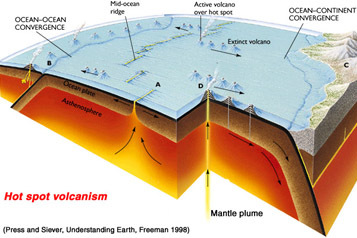 Occasionally the hot asthenosphere of the Earth finds a weak place in the lithosphere to rise buoyantly as a plume, or hotspot. 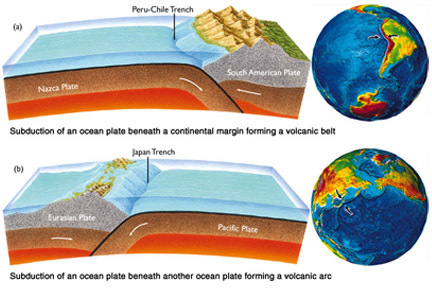 At convergent boundaries, plates move toward each other and collide. 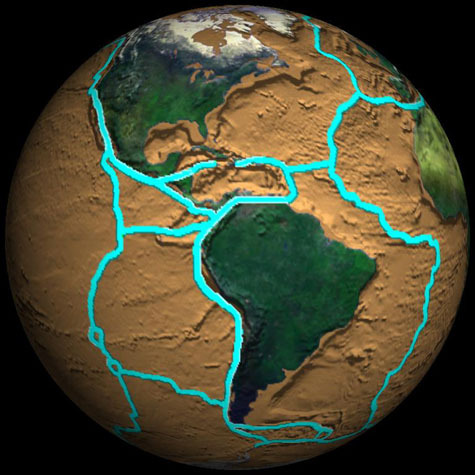 Where an oceanic plate collides with a continental plate, the oceanic plate tips down and slides beneath the continental plate forming a deep ocean trench (long, narrow, deep basin.) 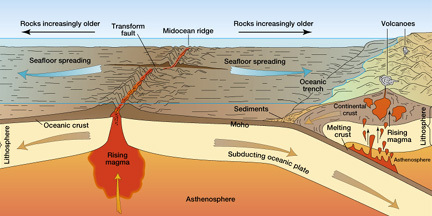 An example of this type of movement, called subduction, occurs at the boundary between the oceanic Nazca Plate and the continental South American Plate. 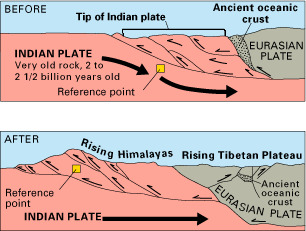 Where continental plates collide, they form major mountain systems such as the Himalayas.